Root fillings in the past have been very unpleasant but with advances in this area of dentistry they are usually a pain free procedure completed in one or two appointments. 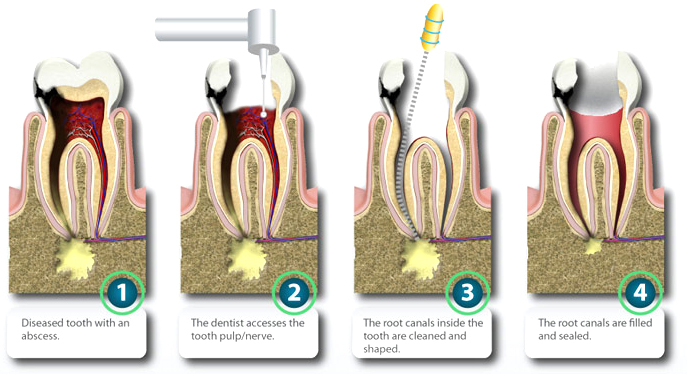 A root canal filling is required when the tooth ‘dies’ or is irreversibly affected by trauma or infection. In these cases the nerve of the tooth needs to be removed and the tooth canal cleaned and filled.